When working with seniors, one often hears the phrase, "I do not want to burden my children with anything." A very noble and unselfish position to take, no doubt; but, if one has a loving relationship with his or her children, the help they can provide as one ages can enhance everyday quality of life. Ironically, the "burdens" most seniors shackle their children with is fear, stress and guilt. Of course, this is not on purpose or done maliciously, but loving children will worry about the "what if's" such as a potential injury due to falling, loneliness of isolation and overall health needs. If you don't live close, you can't check on how your parents are doing, which can exacerbate the worry. Be proactive by having a "senior living plan." Are you going to stay in your home and age in place? Live in a retirement community? What can you afford? What type of lifestyle would make you happiest? You need to research options available and set a timeline for moving forward. If serious health issues exist, you might want to expedite your decision. Downsize based on your financial resources and overall needs. Finances will determine most of what you can or cannot do. It's recommended you have a budget to work from. 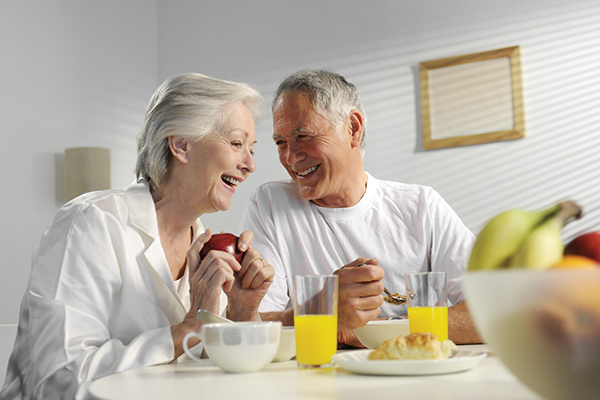 Most seniors agree they can downsize to a smaller residence and be just as happy. Social Security provides ongoing income along with pensions, stock dividends and CDs; and typically your home is your greatest asset, especially if there is no mortgage. Remember, as you age, the cost of health care will most likely be higher, and Medicare will not be paying most of the bills. It's important for seniors to continue to exercise and eat smart so they will stay healthier longer. There is no substitute for physical activity and having your brain challenged with new thoughts and possibilities. Walking everyday and introducing your mind to new experiences can be some of the best "medicine" you can take. So don't be "stubborn as a mule" and actually burden your kids with a lot of unknowns that can be addressed and determined in the early stages of senior retirement. The key is to be proactive and practical. Plus, your children will love you for it.